Bunnies need forever homes too! It’s not just dogs and cats that need to find forever homes, all sorts of pets, including bunnies, need homes! There is a great rescue in California that is working hard on behalf of bunnies, The Bunny Bunch. The Bunny Bunch was established in 1984, and is a non profit, no kill rescue and education organization run entirely by volunteers. 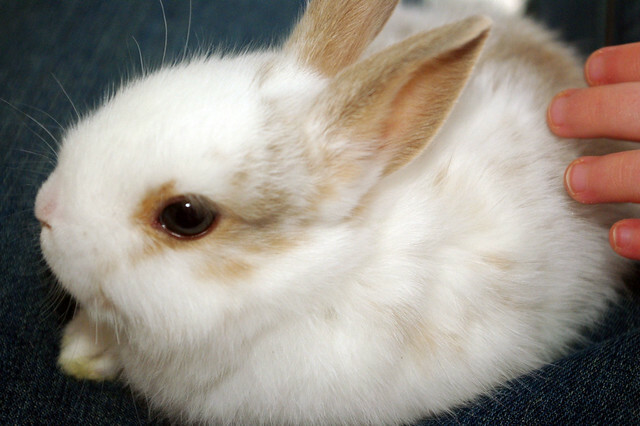 Over the years they have rescued thousands of rabbits, mostly from high kill shelters. Most of the rabbits they rescue come from shelters, sadly rabbits are taken to shelters everyday, mostly because people have bought them without learning about their care. A big part of the Bunny Bunch is education about the proper care of rabbits. They even hold classes at both of their adoption centers in addition to off-site events throughout the year to educate the public. They serve the southern part of California, so if you are in that area and looking for a bunny as a pet, please check with The Bunny Bunch first. You may even have heard of a recent news story about the rescue of 135 rabbits that were being kept in the back of a U-haul truck. The Bunny Bunch currently has 24 of the rabbits, the rest are at Animal Control, and they are taking them in groups to their adoption centers as space permits. You can read more about it here.